Ski Jump Mania 3 is here! Try the sequel of your favorite game! 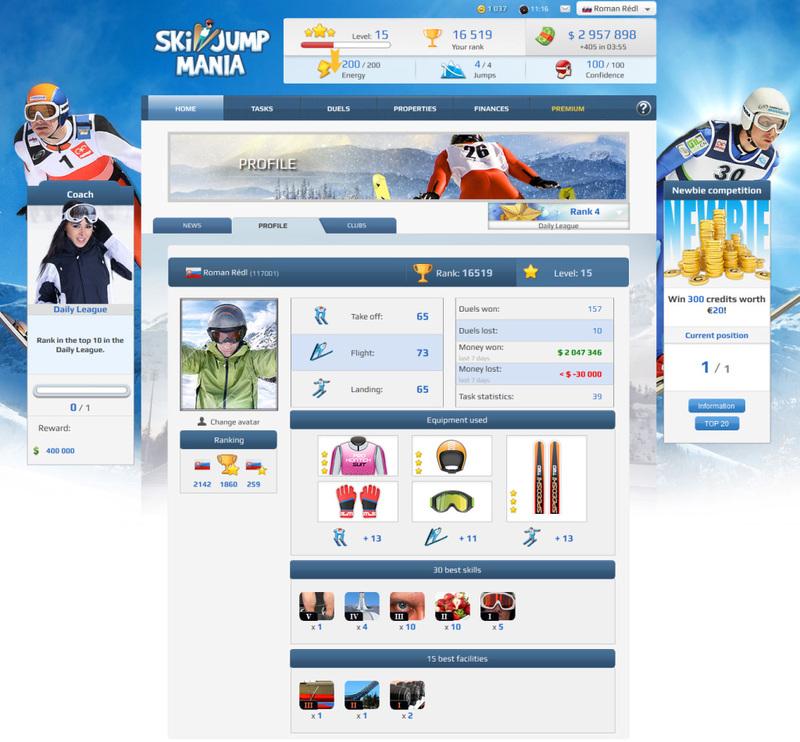 Ski Jump Mania is an online sports ski jumping game where you can live the life of a ski jumper. Create your own character and set new hill records on famous ski jumping hills around the world. You can control your jumper during jumps with a mouse or a keyboard. Your results depend on your own skills and also on how you train your jumper and what equipment you buy for him. 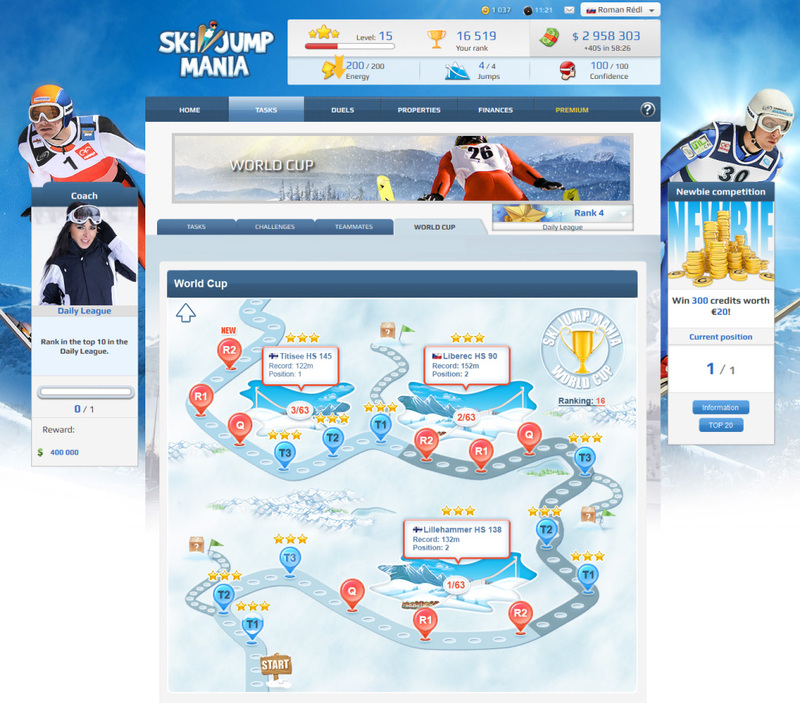 World cup, tournaments, club championships - all of this awaits you in Ski Jump Mania. Prove that you have no fear and play ski jumping against thousands of other players like you!